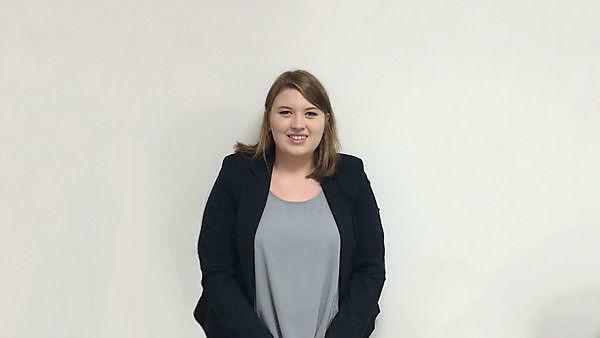 "I learnt to be independent at Plymouth, a skill that is key in my current role. I worked on long term projects at Plymouth like research projects and my dissertation which taught me how to manage my time and meet deadlines." Almost immediately after completing my degree I was employed by Hologic, a global women’s healthcare company. I work within the surgical division for the company. I manage the South Midlands territory which means I am responsible for all the sales, training and case support for the hospitals within my area. My job involves negotiating contracts and pricing, training consultants and nurses in the use of our products, case support in the outpatient and theatre environment and dealing with any other queries regarding the products. Before graduating I didn’t even know this sort of career, that of medical device sales, existed. Since graduating I have undergone intensive training provided by my company and now run my own high value territory in which I am steadily helping to grow the business. When I started this role I was dropped in at the deep end. It’s a very different environment to anything I had ever experienced before. Not only is there the business side but also that of working with healthcare professionals and ultimately helping to guide a physician through a procedure at the other end of which is a patient. You have to learn the different skills and languages need for each aspect of the role and be able to adapt to each unique situation. By far the travelling for business - within the UK is guaranteed in this profession but also over to the USA and Europe. Have a bit more faith in myself earlier on. Be confident and persistent. Learn about the NHS structure as this is key! Every day is different and comes with a new challenge, so learn be adaptable and don’t let problems defeat you. I learnt to be independent at Plymouth, a skill that is key in my current role. I learnt to communicate well with students, lecturers, etc, another key element of my current role. I worked on long term projects at Plymouth like research projects and my dissertation which taught me how to manage my time and meet deadlines. It’s the little skills you don’t even realise you’re developing that become most important. There are so many! I loved all three years I spent at Plymouth so much. The feeling of finally handing in my dissertation was a particular highlight. There are many friends that I met at Plymouth that I will continue to keep in touch with. Plymouth is an incredibly supportive place to study. It’s a great environment to develop yourself academically and professionally. I would definitely recommend it. Take advantage of all opportunities Plymouth provides you with. Work placements and experience are invaluable and Plymouth University will do all they can to help you with these.